its awesome locales and the spots for better communications possible in this exotic country..
Greenland Travel Guide will make the trip easy and enjoyable for ever single soul as this page will provide you the Travel guide to Greenland in short .Capital city of Greenland is Nuuk and its situated in the West to Greenland. It's the best part of the country to start your trip as you will come to know about the accommodations, transport facilities and can plan the trip better from this place. 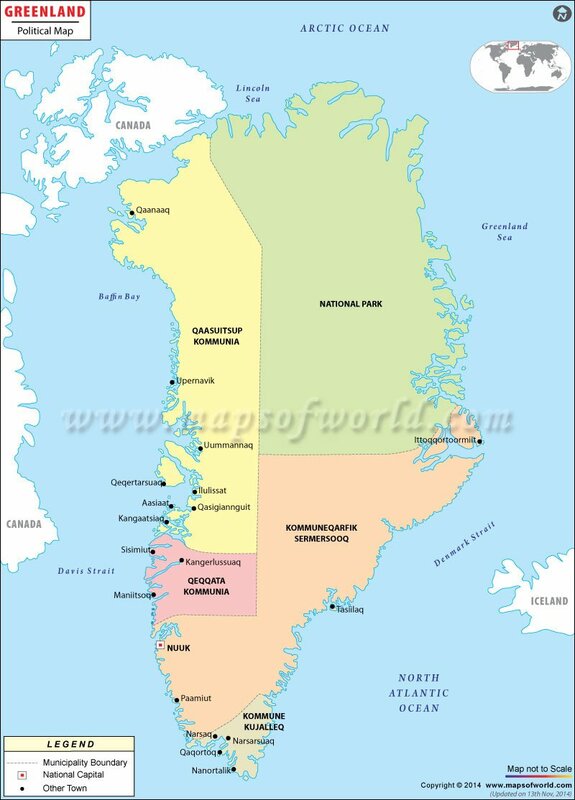 This place is ice free part of Greenland and this present day capital was founded in the year 1721. Greenland travel guide insists the travelers to Visit the south Greenland as it will thrill the visitors who wishes to indulge themselves in outdoor activities like skiing to rock climbing. Field ice in this region is another attraction of Greenland and they are mostly seen in the summer and spring season. Another small but worth visiting area in south Greenland is a tiny village of "Igaliku" as it's is guarded so well by the mountains and is the best place for growing vegetables and sheep rearing. "Nanortalik" is another popular spot for its scenic beauty and well maintained gardens which are surrounded by magnificent granite mountains. "Thule" is another attraction of Greenland as it has the airbase and is located in the North West Greenland and was founded by Danish explorer named as Knud Rasmussen. Accommodation facilities are also proper in all the above mentioned places and other parts of Greenland. Try out some exciting activities of Greenland and that are various and ranges from fishing, hiking, mountain climbing, camping, sledging and lots of other enthusiastic activities will keep you busy in the trip and the favorable weather condition is generally between February to mid June as Arctic zones experiences very harsh and unusual climatic changes. So before venturing into the tour to Greenland be sure to get all the information on Greenland properly by scrolling through the Greenland Travel guide.